Kodo Sawaki (nicknamed “Kodo the Homeless”), regarded by many as the greatest twentieth-century Zen master, had a difficult start in life. Kodo Sawaki was born in 1880 in Tsu, in the Mie prefecture. Orphaned by the age of 10, he was adopted by his lazy, gambling-addict uncle and his ex-prostitute wife. At the age of thirteen, he started working in the gambling district as a watchman for the Yakuza to survive. In 1896, without real support from family or friends, the poor sixteen-year-old Kodo Sawaki traveled on foot to Eiheiji Temple (the main Soto Zen temple founded in 1244 by Dogen). He wanted to become a monk, but instead got a place in the temple as a servant. 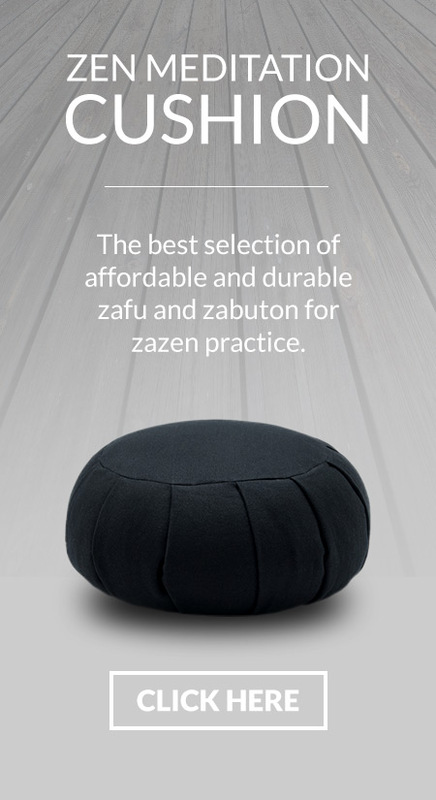 However, his position as a servant allowed him to learn and practice zen meditation or Zazen. Sawaki remained at Eiheiji for some years. 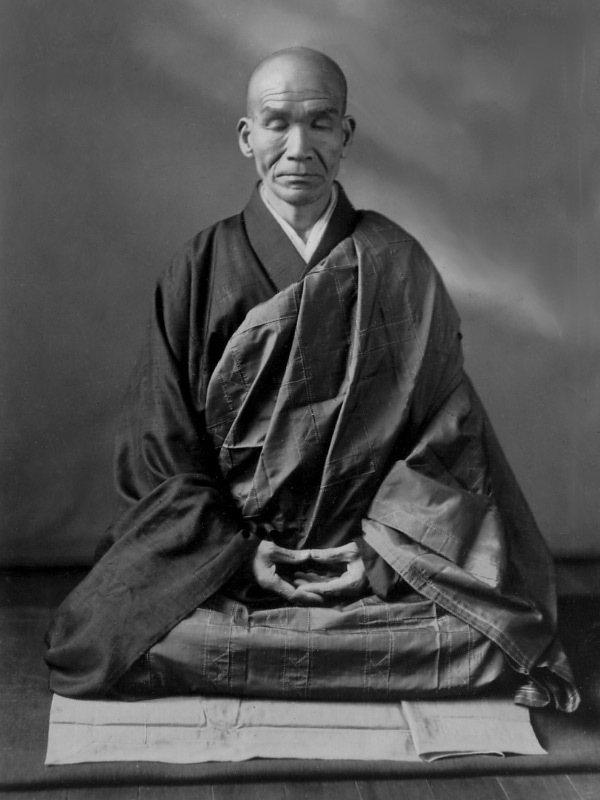 He was ordained as a Zen monk in 1897 at Daiji-ji Temple by Sawada Koho, the head monk. After receiving his ordination, he spent many years living in an abandoned hermitage devoting himself to the practice of Zazen. When the Russo-Japanese war broke out in 1904, Sawaki was sent to the front where he spent close to four years as an infantryman. One day during battle, he was shot and left for dead and was thrown into a gigantic grave. He was discovered several days later under dozens of decaying bodies and was sent back to Japan as one of the war wounded. Having returned to Japan in 1908, Sawaki started practicing Zazen rigorously and intensively studied Master Dogen’s “Shobogenzo”. In 1935, Kodo Sawaki started teaching Zazen at Kanazawa University, and he later temporarily became the head monk at Soji-ji Temple, Soto Zen’s second largest temple. In 1936, Taisen Deshimaru, who would become one of Zen’s most influential figures, became one of Kodo Sawaki’s disciples. Deshimaru was a steadfast disciple, and he was by Sawaki’s side until his master’s death. 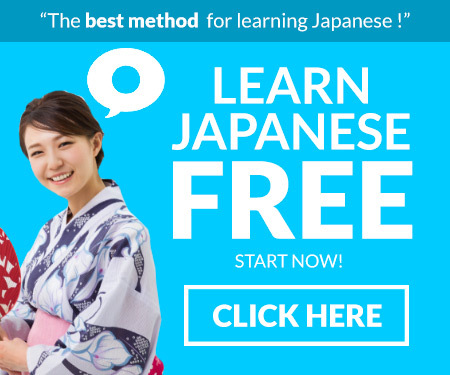 After the Second World War, Kodo Sawaki spread his teaching all over Japan, from big cities to remote villages, and from universities to prisons. 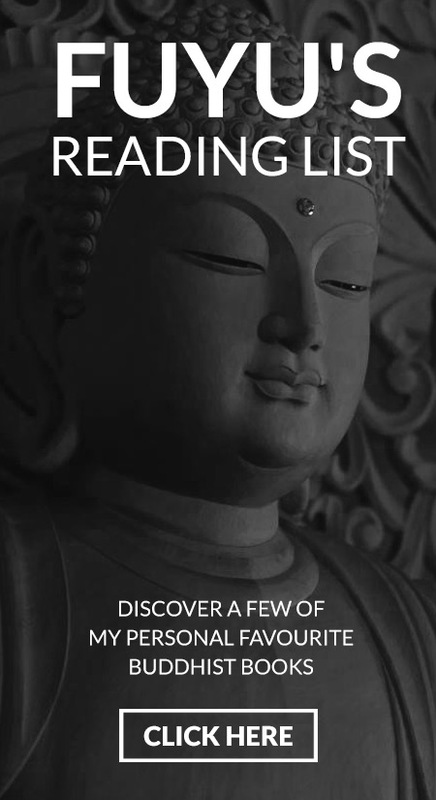 He became famous throughout Japan for the sesshin (intensive meditation retreat) that he gave to people from all walks of life, without making any personal distinction or discrimination. His tendency to travel alone and his refusal to settle down at any monastery in the classical sense earned him the nickname, Homeless Kodo. Unlike most Zen Masters, Kodo Sawaki refused to take charge of the monasteries that were offered him during his lifetime. He never even permanently settled in a Temple or Dojo. 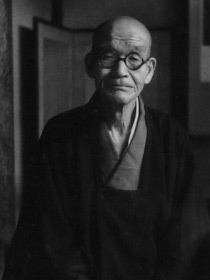 Kodo Sawaki called his monastery a “moving monastery”. He gave Zen a new life and “brought fresh air to the decaying Zen” by staying away the frozen formalism of temples where religious rituals were, unfortunately, more important than true Zen. His tendency to travel alone and his refusal to settle down at any monastery in the classical sense earned him the nickname, “Homeless Kodo”. In 1965, just before his death, Kodo Sawaki ordained Taisen Deshimaru as a monk, gave him his kesa (monk’s robe), and asked him to continue his teaching by spreading Zen in Europe. Kodo Sawaki was respected and admired throughout Japan for his simple, free, and wise approach to life.